Bandai Namco Entertainment and Spike Chunsoft’s Jump Force is the latest video game featuring one of the most legendary stables of manga characters ever. But it’s far from the first and nowhere near the best. Video games based on Shonen Jump publications go all the way back to the Famicom, which is actually where most of the crossover titles lived until relatively recently. While some of the best Shonen Jump games have predominantly landed on Nintendo platforms (Shout out to Jump Ultimate Stars), there are plenty of quality titles to choose from on PlayStation consoles. While it’s important to remember that with licensed anime games you’re never going to get that top shelf experience (except for Jump Ultimate Stars, shout out to the GOAT), there’s still plenty of fun to be had here. Battle Stadium D.O.N. won’t hold a candle to Super Smash Bros. by any estimation, for example, but that doesn’t mean a group of four anime dorks won’t have a great afternoon together huddled in front of a PS2 (or GameCube) at an anime convention. As you may have gathered from my cheeky asides, this is a PlayStation-centric list. That means that any game not available on a PlayStation platform doesn’t qualify. That rules out most of the crossover titles, alas. So I opted to snag what I feel are prime examples for singular Shonen Jump properties to beef it up, and these inclusions are not necessarily the “best” overall games (that caveat is there mostly to justify Dragon Ball FighterZ being left out), but ones I feel encapsulate the Shonen Jump vibe the most. Now for the fun part. Those were my favorite examples of Shonen Jump games. That said, readers, I’m wondering what you all think. 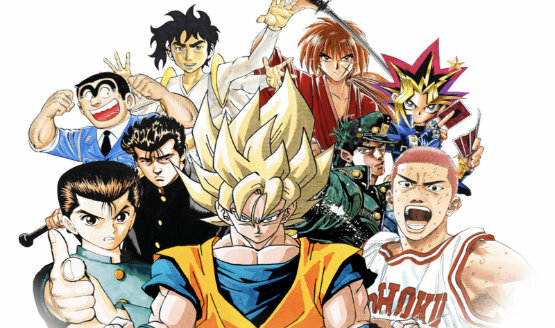 What are some of the other Shonen Jump games out there you love, and why? Are there any Fighting for One Piece stans out there? Let me know in the comments.